Is it Time for You to Start Content Marketing? Small businesses that blog generate 126% more leads than SMB's that don't blog. I'm hoping that alone will convince you to start a blog for your small business. Companies that blog also have 97% more websites linking to them as well. More links = more traffic, social shares, leads and as a result: more revenue. SMB Blogging: Did You Know? Those are some serious stats! It's fairly well documented that if you're a small business and participate in content marketing, you're going to do well. As you can clearly see, content marketing is growing every day. More and more people want to learn how content marketing will improve their business and replace part of their more traditional advertising spend. Publishing content through NearSay, a local content platform. Learn more about this by contacting us. Still asking yourself if you should create a blog for your small business? Businesses that commit to blogging and publish over 51 posts receive a 77% lift in monthly leads. If you want to push your local content marketing to the next level, it comes down to content syndication and marketing through additional channels. You need other people talking about your content. Bloggers republishing your posts, guest blogging in other networks, being found on a top local content publisher like NearSay. These are things that will significantly improve your content marketing plan. Content is what powers the value of your channels. Your email list, Facebook updates, tweets, LinkedIn updates and Instagram photos have much more value if they're supported by great content. You need to be telling your stories through multiple channels to reach your customer. Without great content marketing and syndication, this is a difficult task. By publishing content online frequently (1-2x per week), you will see significant and measurable results. Without a blog, your small business is not firing on all cylinders. Have you recently started a small business blog? What kind of results are you seeing? 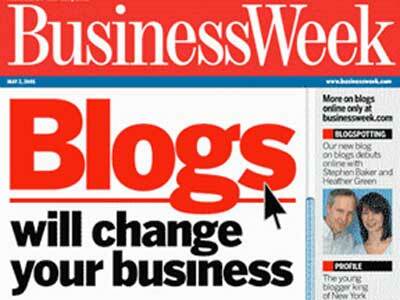 The post Why Every Small Business Needs To Blog in 2014 appeared first on LocalVox.